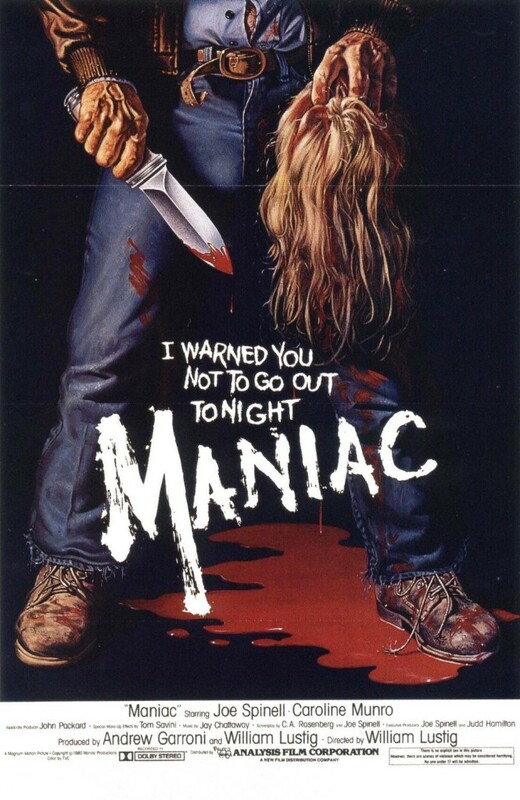 Well boys and girls, this week Dion Baia and J. Blake have a real treat lined up, a personal favorite of Saturday Night Movie Sleepovers, the 1980 cult classic Maniac, directed by William Lustig and starring the late, great, Joe Spinell. The guys attempt to fit as much as they can into a humble little podcast about this movie, while not trying to go too overboard and show their true colors as absolute fanatics for this film. They discuss the amazing actor that was Joe Spinell, and how he hoped that this pet project of his would do for him what Rocky did for his close friend Sylvester Stallone. Dion and Blake also go on about how it all came together and who Spinell was able to get on board, like SFX legend Tom Savini and iconic director Bill Lustig, to name a few. And the love the boys have for this movie brings up very interesting topics: Is there really an homage to Spielberg‘s Jaws in the film? What were student reactions when J. Blake screened it for his college horror class? Does this movie maybe contain the best head explosion ever? How does the 2012 remake starring Elijah Wood compare? And why do the lads keep butchering actress Catherine Munro‘s name? Well all these questions and a few more get answered in this very exciting and quite informative all new edition of Saturday Night Movie Sleepovers! Hey, Thanks so much for taking the time to comment! That’s so cool you met her, and we couldn’t agree more with you about Spinell. We love him here at SNMS and actually will have an interview coming up in the coming months with someone who was very close to Spinell, which along with many other things, we will touch upon in that podcast- so please stay tuned! But thank you so much for listening and thanks for taking the time to tell us your story! Cheers!